"It was good to meet you at last, you were definitely an informative and friendly presenter. Most of all, you are FUN!" "Thank you for your talk and for entertaining our guests so well. When it comes to talking about wine, you're a class act." "Thank-you so much for a fantastic tasting last night - you were on great form and kept us all thoroughly entertained, even managing to tame the rowdy ones who were hanging on to every word by the end of the evening! No mean feat! 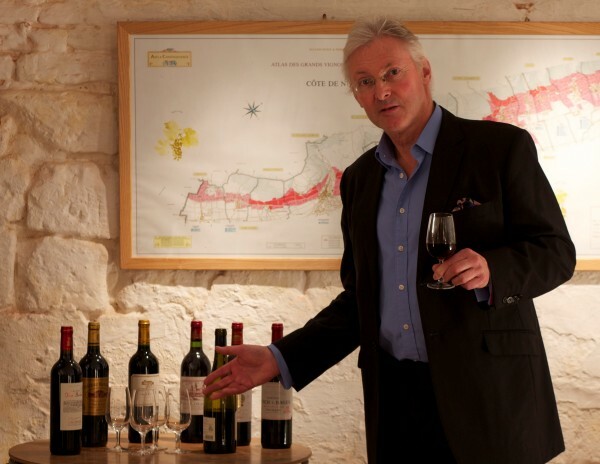 A truely delightful, entertaining and informative evening with some interesting wines as well." "I hope you enjoyed the evening as much as we did. In fact I had emails from some members who were all impressed (5 star presenter was one phrase) and it is most unusual to get such feedback." "It was a nicely informal event and Guy hit just the right note with his information about the wine - we all thought he did it extremely well, interesting but not preachy, not everyone has the knack of this but he does."